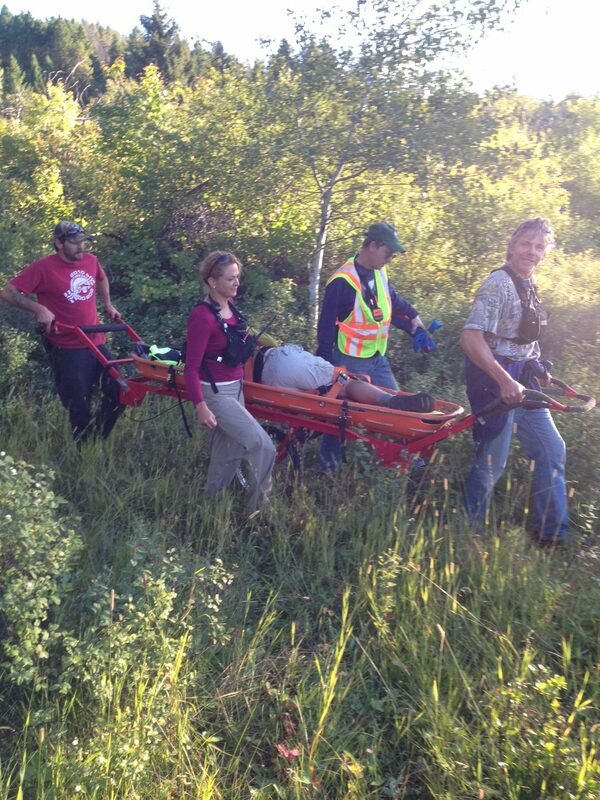 On Tuesday, August 8, 2017 at 8:00 PM, Gallatin County Sheriff’s Search and Rescue at Big Sky and Paramedics from the Big Sky Fire Department responded to a backcountry rescue on the Porcupine Creek Trail. A 73 year old female from Ohio had fallen from a horse and sustained a head injury. The horseback guides used a satellite phone to contact emergency services. Rescuers used all terrine vehicles to access the woman. She was assessed and transported using a specialized one-wheel liter to Fire Department Paramedics waiting at the trail head then transported by Fire Department ambulance to the Big Sky Medical Clinic.